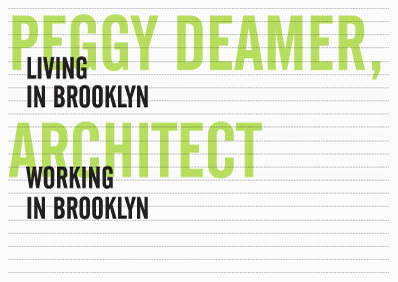 Identity design for the studio practice of Peggy Deamer, Architect. 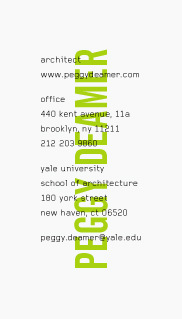 Her identity system is a formal extension of the website design we made for Peggy in 2004 and emphasizes her practice as an architect, educator, writer and critic. 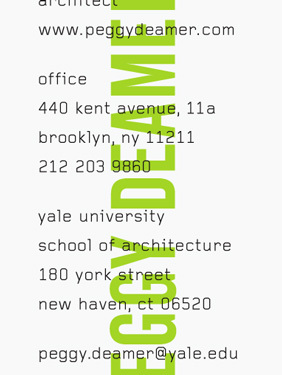 Printing: Typecraft. 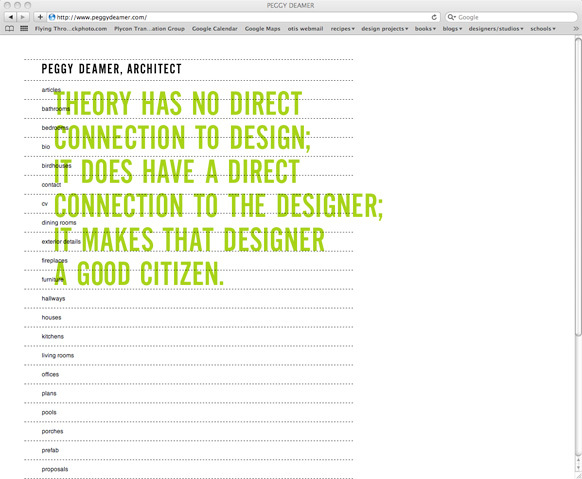 Website Programming: Greenblatt-Wexler.